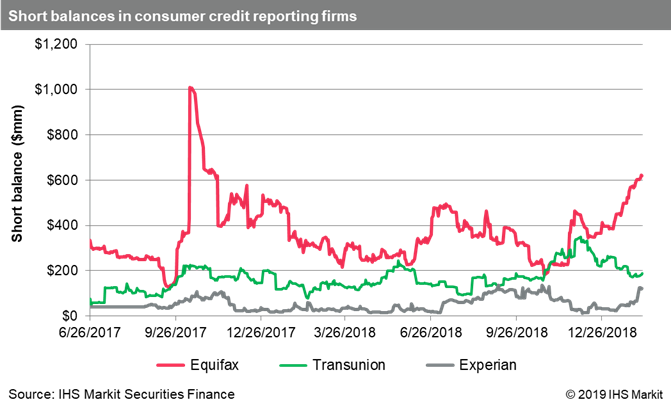 Alexandria Ocasio-Cortez has railed against the credit ratings industry, while short sellers are piling into bearish bets. Short selling positions in credit agency Equifax have spiked to their highest level since its data leak scandal in 2017. 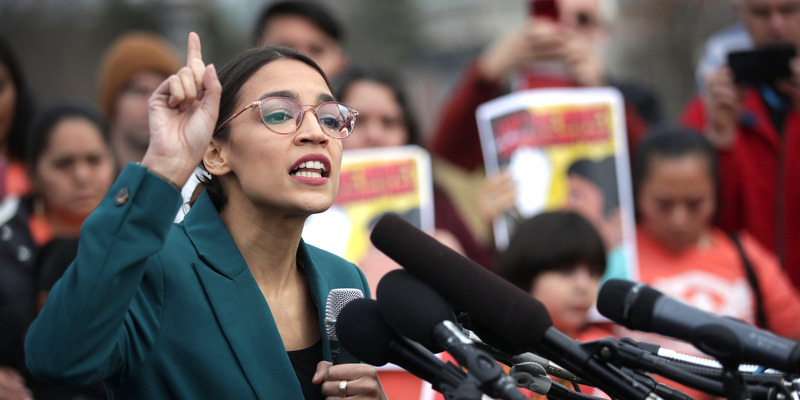 Alexandria Ocasio-Cortez has slammed the company as part of the "dice game" of privatized credit scoring. Part of motivation on part of short sellers may be relating to class action lawsuits resulting from a 2017 Equifax data breach, one of the largest in US history. Short sellers are piling into bets against Equifax, one of the US's largest credit agencies, after class action lawsuits and criticism by Alexandria Ocasio-Cortez heightens focus on what the New York Democrat calls a "dice game." Bearish hedge funds have built up a $600 million short position in Equifax, according to data from IHS Markit. That's the highest amount since September 2017, when Equifax announced a data breach that could have jeopardized sensitive information from 143 million customers. The shares have plummeted about 25% since. But IHS Market says the number of short positions in Equifax have increased alongside the company's share price in recent weeks. The company was also sued by renowned short seller Carson Block, founder of Muddy Waters Capital, over the scandal. A short seller borrows shares, sells them, waits for the stock to fall, then repurchases them at the lower price. The short seller then returns them to the lender and pockets the difference. Equifax reports in early March. Business Insider has attempted to contact Equifax for comment. Equifax short positioning. In September 2017, short positions reached $1 billion. 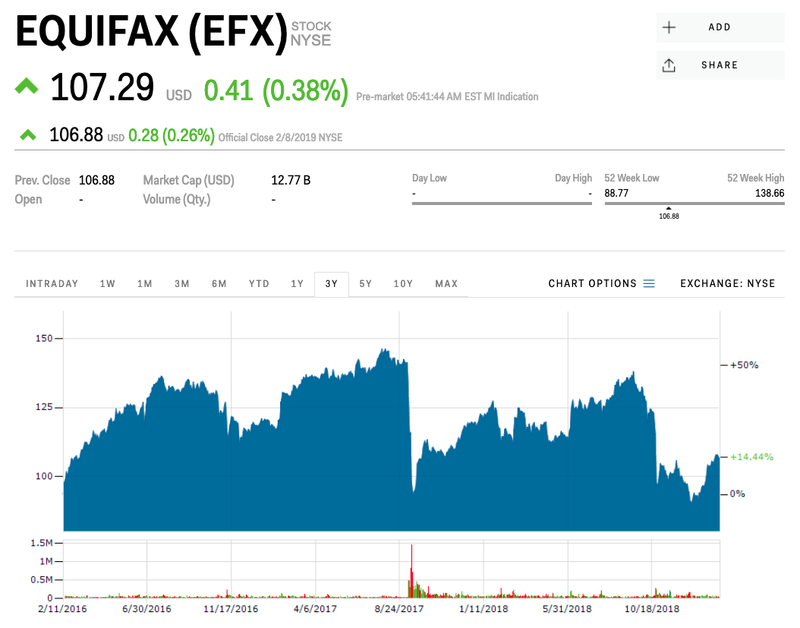 Equifax shares have recovered some, but are still down from news of the data breach. Also a good moment to note that in the wake of the Equifax scandal, privatized credit scoring is a dice game & the credit score system is very broken too.